The Jaslok Hospital & Research Centre is one of the oldest tertiary care, multi-specialty Trust hospitals of the country. In the late 60s, when the establishment of large private hospitals was not common, the institution was conceptualized & endowed to the city of Mumbai by Seth LokoomalChanrai. Seth Chanrai came from a family of philanthropists who had businesses in many countries. The family had already supported many small & large projects. 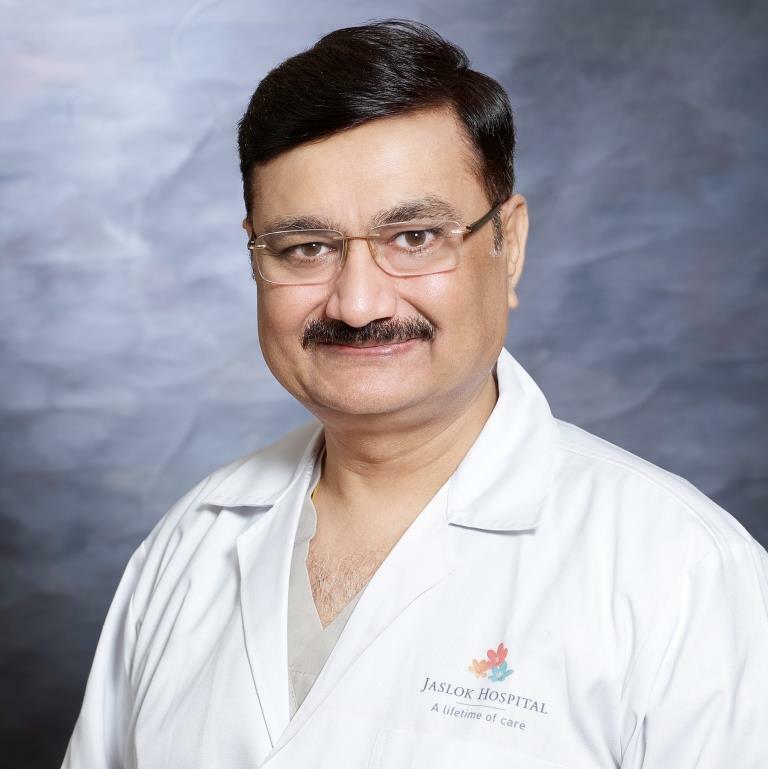 Seth Lokoomal entrusted Dr.Shantilal Mehta the task of establishing an ultra-modern centrally located medical centre where people of all races and creeds could receive the benefits of advanced health care. Jaslok Hospital is situated at Dr. G Deshmukh Marg., Peddar Road which is a main artery of South Mumbai and overlooking the Arabian Sea. The name Jaslok was derived from the names of Seth Lokoomal& his wife Smt. Jasotibai. Seth Chanrai’s vision was implemented and brought to reality largely by his Brother-in-law Dada MathradasAssomull. The hospital was inaugurated on 6th July 1973 by the erstwhile Prime Minister Mrs. Indira Gandhi. Jaslok Hospital is a private, full-fledged multi-speciality hospital with 364 beds of which 75 are ICU beds. The number of consultants has increased from the initial 50 to around 265 with 140 fully trained resident doctors. Hospital has a college of nursing, providing B. Sc. Nursing degree with annual admission of 25 students. Jaslok Hospital has all qualified nurses & some of them have additional qualification & specialization. Jaslok Hospital has Research activities going on in various fields in collaboration with other institutions in India & abroad. More importantly, the hospital has evolved into a tertiary referral centre for providing treatment for advanced, complex problems. It is a training institution as well. It attracts patients not only from Mumbai but all parts of Maharashtra, other States and abroad. Prominent citizens from all over the country have availed of the advanced facilities at the Jaslok Hospital. Jaslok also attracts a significant number of patients from abroad. The institution now has around 35 established specialities and these are growing steadily. The departments are equipped with state of the art equipment and manned by trained & dedicated staff, many of whom now run training programs. Jaslok is now a full-fledged teaching institution and conducts postgraduate courses as well as a nursing school being recognized by the National Board of Examinations in 22 specialties. The Hospital has also played an important role in serving the less fortunate sections of the society which was an important part of the vision of its founders. As of date, out of 359 regular beds, 36 IS (Indigent section) and 36 WS (Weaker section) beds in the hospital are offered free of charge. Since it’s inception, the hospital has maintained a significant number of free and subsidized beds. In addition, Jaslok treats patients from some institutions including orphanages like the “BalAsha Trust” / AshaSadan free of cost. Concessions are also offered to Senior Citizens and an active social work department helps the needy patients with donations from Trusts. Well-developed specialties and services available at Jaslok Hospital & Research Centre are Department of Anesthesiology, Imaging & Interventional Radiology department with Conventional Radiology, CT Scan, MRI section, Mammography. Department of Radiation Oncology, with Latest Pet-Scan, modern Cardio Vascular &Thoratic Surgery, Advanced Dental surgery, Dermatology, E.N.T. Department Fully equipped I.C.U, PICU & NICU. Nephrology, Neuro Science Division including Neurology EMG with Evoke Potentials and nerve conductive studies and Neurosurgery, Clinical Neurophysiology, Neuroradiology, Ophthalmology, Orthopedics& Trauma Services, Pathology & Transfusion medicine, Immunology, Microbiology, Haematology, Surgical Pathology & Electron Microscopy, advanced Pediatrics& Neonatology, Well Developed vesicular surgery dept. Dept., of Chest Diseases, along with Pulmonary function laboratory Urology, with Lithotripsy Ultrasound, Obstrectis&Gynecology, Oncosurgery, Nuclear Medicine Radiation Oncology, Cardiology, having full-fledged Cath Lab for Angiography And AngioPlasty with E.C.G & 2 D ECHO. Gastroentrology, General surgery, Dept. of Infertility management and Assisted Reproduction (IVF), Genetics, Psycharity, Endocrinology, Physiotherapy, Molecular Medicine & Biology, Plastic surgery, Internal Medicine, Radioimmunoassay (RIA), with Toxicology, Department of General surgery & Allied with various supra major & advance surgeries Operation Theatre with modern Facilities. In- Patient Facilities, Casualty, Blood Bank, Health Check –Up, Pharmacy, Support Services, Maxillo Facial Prosthesis.